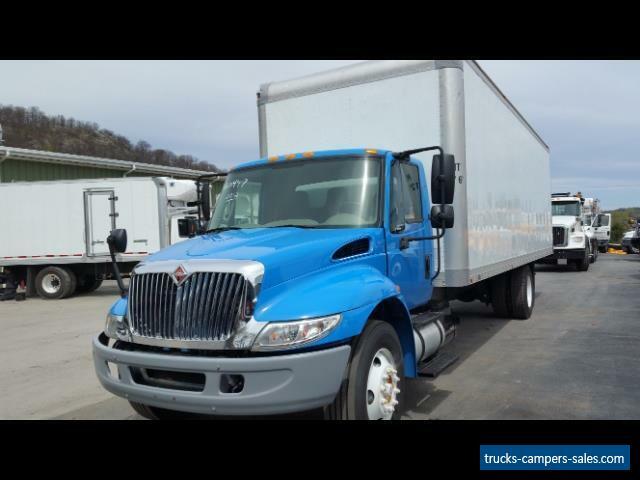 2012 INTERNATIONAL 4300 NON-CDL 28' BOX TRUCK 129K MILES MONTH WARRANTY 2012 International 4300 Van Box, Cube Type: Van Box, Cube Class: Class (19,001-26,000 lbs.) 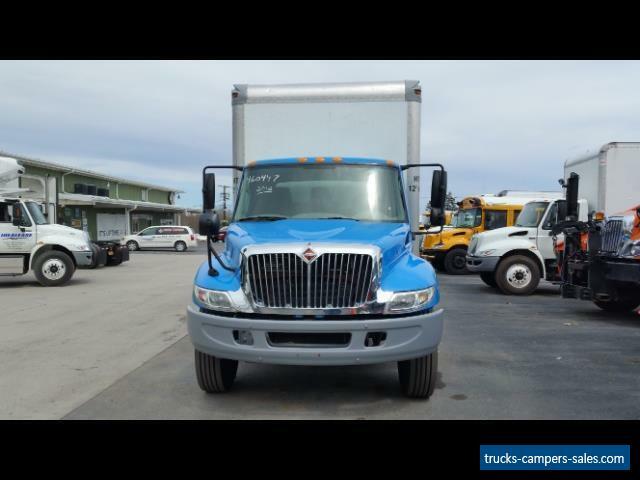 Mileage: 129,833 Engine: Navistar Fuel: Diesel Transmission: Automatic Speeds: Speed Horsepower: 230 Axles: Single Suspension: Air Tire Size: 22.5 Warranty: As Is No Warranty Title: Clear VIN: 1HTMMAALXCH440465 41 Full-Size Photos Vehicle Features Options Ask the Seller Question Email this to Friend Start Credit Application Vehicle Description This is 2012 International 4300 with only 129,833 miles turbo diesel DT 466 engine and Allison speed automatic transmission.This is 25,995 GVW which is NON-CDL. Has Air brakes. Has 28' morgan Box with pull out ramps The interior of box led cargo lights and E-tracks system. 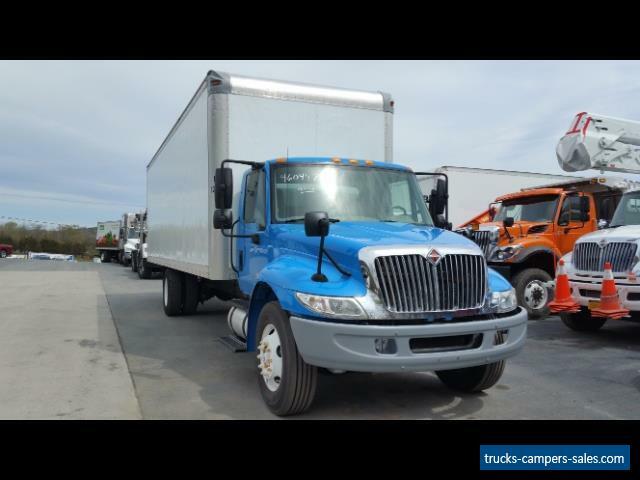 Truck runs and drives excellent Has steel wheels with 22.5 excellent tires. Power windows and locks, heated mirrors tilt wheel Air conditioning is ice cold. Lease Maintained and ready to work. AS-IS NO WARRANTY EXPRESSED OR IMPLIED Shipping Information We recommend ShipMyVehicle.com for vehicle shipping. Hudson Valley Truck Center Terms Conditions of Sale Test Drives and Vehicle Viewings: All vehicle test drives and showings are by appointment only. Vehicle Condition: All vehicles sold by Hudson Valley Truck Center are pre-owned vehicles, and therefore may have imperfections such as dings, chips, light scratches, and other wear and tear evidence. Please understand that according to age and mileage of vehicles this will vary. Titles: We guarantee clean, clear, and lien free titles on all our vehicles. All mileage stated is actual unless otherwise noted in the listing. Please understand that the mileage may be higher at time of delivery due to test drives and transportation. Shipping and Transportation: We are willing to help with any feasible shipping or delivery arrangements that the buyer may wish to arrange. Please understand that we will arrange shipping for you as value added service only. We do not have any affiliation with any shippers or transporters. We also provide complementary airport transportation from Stewart International Airport Newburgh NY to our facility with arrangement. Actions: Hudson Valley Truck Center reserves the right to sell this vehicle through other venues, provided that the auction has not ended with winning bid. If you have only negative feedback or bid retractions, DO NOT BID without pre approval from Hudson Valley Truck Center . Unqualified Bidding, Nonpaying Bidders, Auction Interference, Shill Bidding, or any form of harassment can be subject to legal prosecution. Vehicles: At buyer's own expense, we will permit any pre-sale inspections to be conducted at our facility to examine this vehicle for mechanical defects or problems. We do our very best to describe the condition of our vehicles, however, we are only human and these are used vehicles, therefore, we will not be held responsible for errors or omissions in the description of the above vehicle or typographical errors in any of our vehicles listings. All vehicle options, specs, features, color descriptions, history, paint history, maintenance records and manufacturer's warranty information must be researched and confirmed by buyer or 3rd party service before completing purchase. We will furnish all original manuals, service records, extra keys and keyless remotes, or any other accessories only if available to us, please understand that there may be missing accessories such as CD cartridges, navigation discs, floor mats, keyless remotes, ect; so please be sure to check the pictures to make sure that they are present with this vehicle or contact us for complete and accurate accessories list. Helpful research information can be found at Edmunds.com, AutoCheck.com, Carchex.com, CarFax.com, Etc... We do not guarantee any aftermarket accessories or parts on any of our vehicles such as lift kits, stereos, performance enhancements, ect. Understand that anything aftermarket added to vehicle can alter vehicles ride, performance, durability, fuel consumption, warranty, quality ect. Any vehicles that have been lifted are stated altered suspension, and altered frame because of the welds and holes made to the frame for the suspension and lift kits. Vehicle Warranty: All vehicles are being sold as is, where is with no warranty, expressed written or implied. However some vehicles may be covered under the manufacturer's warranty. Manufacturer's warranty is vehicle manufacturer promises to stand by its product and asserts that the manner in which the truck was made and the materials used to make it are free from defects. It is the buyer's responsibility to verify coverage and expiration dates via the vehicle manufacturer. We do offer Services Contracts Mechanical Breakdown Protection plans on many of our vehicles that are services and sold by third party warranty company's and are not administrated by Hudson Valley Truck Center. These warranties are accepted by most authorized service centers and new car franchise dealerships nationwide. Details and prices on our complete line of warranties and service agreements are available upon request. Buyer's Guide: This vehicle is being sold AS/IS WHERE IS, with no guarantees or warranties written or implied. As required by federal law an AS-IS Buyer’s Guide well be included sales documents and must be signed and accepted by buyer. Payment Terms: The successful high bidder will submit $500.00 non-refundable deposit via PayPal within 24 hours of the close of the auction to secure the vehicle. Buyer agrees to pay remaining balance due (plus applicable fees and taxes) within business days of the close of the auction. Acceptable Payment Methods: Certified Bank Check, or Bank Wire Transfer, Cash. We do also accept payments from online lenders such as: eBay Finance, please contact us for further information regarding these forms of payment. For all cashier's check payments, we must receive faxed copy days before time of delivery for verification. Fees and Taxes: All sales are subject to $249 Documentary fee, for handling paperwork, filing titles, mailing and copying costs for out of state buyers. New York residents must pay sales tax and all other applicable New York fees and taxes. Out of state buyers are responsible for their local state taxes and title transfer fees, which should be paid within. UPDATES Hudson Valley Truck Center reserves the right to change the terms and conditions of sale at any time. Customers are encouraged to review the Terms of Sale on periodic basis for modifications. This Hudson Valley Truck Center Terms and Conditions of Sale is revision/update. This Policy supersedes any previous terms and conditions. Any terms and conditions that contradict this revision or update will be invalid. Terms and conditions are subject to change without notice.